Warren Buffett, the founder of Berkshire Hathaway ( BRK-A , BRK-B ), says this helps to explain problems at Kraft Heinz ( KHC ). Last month, the company posted a surprise net loss due to a massive $15.4 billion non-cash impairment charge mostly tied to the Kraft and Oscar Mayer brands. Since that time, shares of Kraft Heinz, which Berkshire holds, have fallen nearly 34% and were last trading near an all-time low. Berkshire Hathaway owns 325.6 million shares of Kraft Heinz, a stake worth nearly 27% of the company. At the beginning of the year, that position has been worth just north of $14 billion. Based on Friday’s share price close, it’s now worth $10.4 billion. In the annual letter, Buffett said the position had a cost basis of $9.8 billion . Buffett pointed out that Costco ( COST ) attempted to stop stocking Coca-Cola ( KO ) on its shelves back in 2009 over a pricing dispute . "In that role, we purchased $8 billion of Heinz preferred stock that carries a 9% coupon but also possesses other features that should increase the preferred’s annual return to 12% or so. Berkshire and 3G each purchased half of the Heinz common stock for $4.25 billion," Buffett wrote in the 2013 annual letter . "The new company has annual sales of $27 billion and can supply you Heinz ketchup or mustard to go with your Oscar Mayer hot dogs that come from the Kraft side. 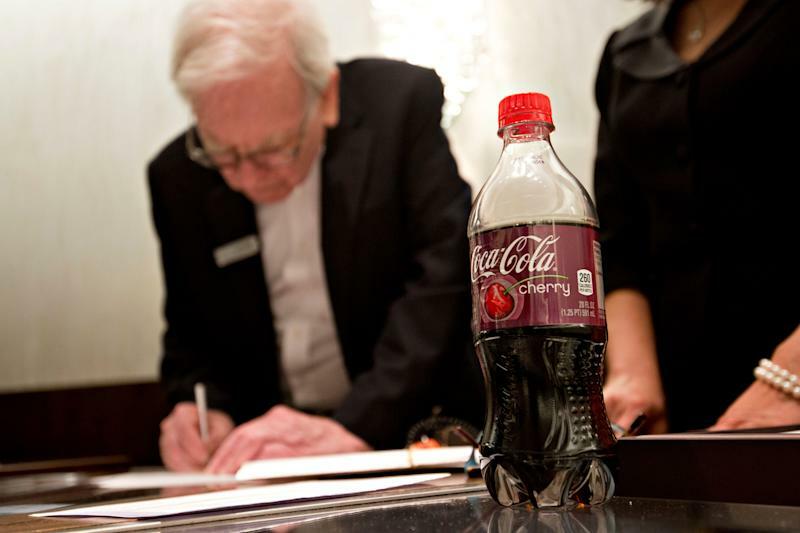 Add a Coke, and you will be enjoying my favorite meal," Buffett wrote in the 2015 annual shareholder letter .